Economic headwinds are building on the horizon — from increasing interest rates to rising labor costs and virtual full employment. From a slowing global economy to the continuing trade dispute with China. From a slowing housing market to softening capital spending. If your business is impacted by some of these headwinds, it’s best to face the situation early and with full transparency. For companies that do so, decisions to take on additional risk to be transformative, or to effectuate a turnaround, tend to be well-received and supported by boards, lenders, and other key stakeholders. This article discusses five stages of business distress and the challenges they present for company management. Early warning signs of business distress are often written off as insignificant, with an attitude of “this too will pass.” But in many cases, not only should these signs be taken seriously, they can also present an opportunity to transform the business. Typical early indicators of distress include liquidity issues, overdrafts, out-of-formula borrowings, and unscheduled stretches in payables. Other, more operational-type signs include excessive/unplanned overtime, expedited or missed shipments, loss of a key customer, increased employee turnover, and taking shortcuts on the manufacturing floor that migrate into downstream quality issues. Perhaps there’s a noticeable gap in bench strength, unprofitable products, underpriced new products and services, or a vendor driving material cost increases. Whatever the cause(s) may be, the issues must be addressed before the business encounters even more extreme levels of distress. This is the time, while in full control of the business, to reassess strategic positions and business plans, including the capital structure. At such a time, stakeholders are much more likely to support leadership and the proposed actions to preserve and drive value. Here the level of business distress has grown to the point that debt covenants have been tripped and the company’s secured lender is now looking deeper under the hood. Perhaps the lender has gone as far as issuing a reservation of rights letter or forbearance agreement. Typically, when EBITDA, cash flow, and fixed-charge covenants are tripped, the underlying causes are deeper than surface-level. 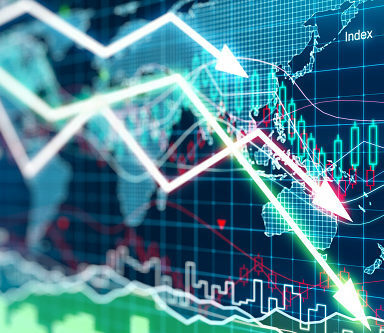 The business is entering into crisis management territory, and leadership should begin to focus on preservation of cash and enterprise value. Does the company need additional capital? Has the secured lender tired of the situation? Does the company need a new partner to better leverage the assets and relationships? Do the customers want to re-source and exit? Is the current management team strong enough? An honest assessment of both the management team and the reasons for the company’s existence should be completed. Both viability planning (for the short term) and turnaround planning (for the mid-term) are needed to prove out near-term liquidity and longer-term enterprise value that support the capital needed to restructure. Detailed plans to reduce costs through “self-help” measures — such as elimination of so-called “loss leaders,” sale of underperforming products/services, reduction of overhead costs — must be completed before asking outside stakeholders for support. Additional capital may be needed, but the company’s lender or sponsor will need to be thoroughly convinced of the turnaround plan to undertake the additional risk and exposure. In the absence of a convincing viability and turnaround plan, the secured lender may start to take actions to mitigate its exposure. These include borrowing-base blocks, reserves, reduced caps, or other actions that tend to accelerate the spiral into a deeper liquidity crisis. The lender may also require retention of crisis management professionals. Often, given the recent underperformance, stakeholder trust must be rebuilt. That happens through consistent communications evidencing that plans and corrective actions are working, as well as mitigating the actions of others that could damage enterprise value or recovery. The business is in a full-blown liquidity crisis when the daily focus is on funding payroll, getting a “stop-ship” vendor back in action, or skipping tax payments to preserve the cash for other uses. Cash management consumes several hours a day. It’s likely that the secured lender is breathing down the CFO’s neck with demands for enhanced reporting (for example, daily borrowing base or daily/weekly cash flows) and taking action to mitigate exposure. At the same time, the company’s sponsor is pushing for a strategy to get it out of this mess, while leadership is less motivated since their piece of the pie is out of the money. Adding more fuel to the fire, mid-level talent becomes aware of the growing crisis and starts to leave for greener pastures. For the CFO, it’s time to define an end game. Leadership must outline a strategy to exit or restructure, whether through an out-of-court reorganization, a quick sale process, or a formal bankruptcy. Short-term cash planning becomes critical for survival. Often, all stakeholders will incur pain. Despite a common desire to keep the crisis “in house,” any successful plan to preserve the business will require painstaking discussions with outside parties including trade partners, junior lenders, and shareholders. Constant and clear communication is crucial bringing along stakeholders and employees. Don’t underestimate the commitment to and benefit from over-communication in a time of crisis. It could be the one lever that helps push a plan through while keeping key staff in place. The legal, financial, and operational challenges in a bankruptcy — or an assignment for the benefit of creditors, an Article 9 transaction, receivership, or out-of-court liquidation — are extensive. They require the retention of legal counsel, and in many cases a financial adviser, to properly execute the chosen strategy. The company’s secured lender, along with an unsecured creditors committee, will likely be deeply involved and have their own representation. Current equity holders tend to lose control once a business reaches Stages 4 and 5, and they are usually out of the money without an economic path to recovery. Additionally, most bankruptcies today lead to a quick sale rather than a reorganization with current equity, so an out-of-court process may need to be considered if the current sponsor prefers to stay in place on the back side. With economic headwinds building, now is the time to prepare. Although every crisis is unique, all should have a common strategy rooted in full transparency and open communication with key stakeholders, both early and often. Carl Sekely is managing director and Michael Walsh a director of Conway Mackenzie, a global management consulting and financial advisory firm.